Fitting the planes together was like Tetris, with a prettier result than your most artful video-game moves. 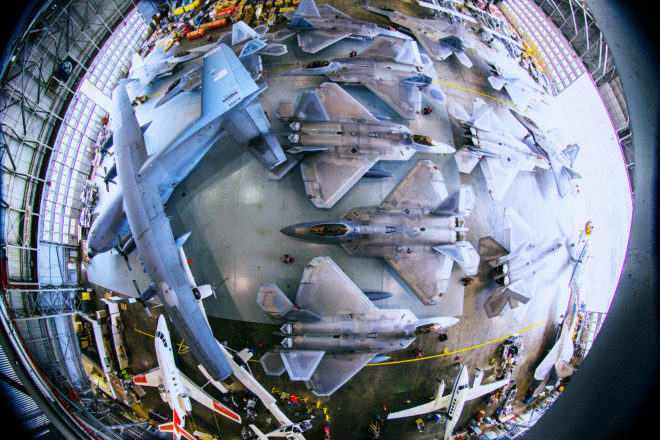 The post Air Force: Stash These F-22s for Us? NASA: Yeah Sure We Got Room appeared first on WIRED. This entry was posted on Thursday, September 8th, 2016 at 6:59 am and is filed under Wired Tech Biz. You can follow any responses to this entry through the RSS 2.0 feed. Both comments and pings are currently closed.